Own a truly beautiful and unique piece of custom jewelry today. Design using the latest tehnology. 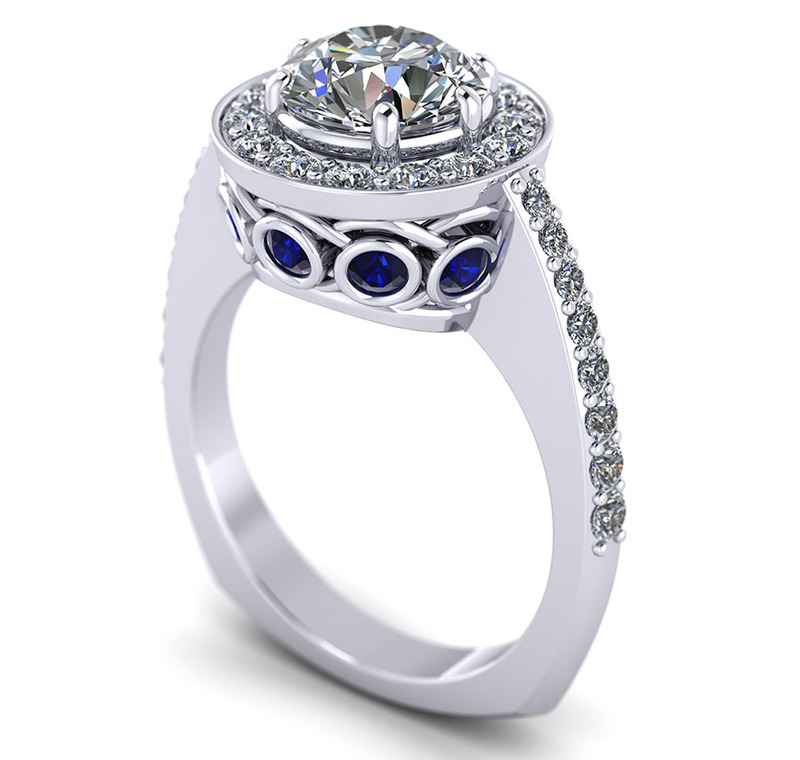 Before an article of jewelry is created, design concepts are rendered followed by detailed technical drawings generated by a jewelry designer, a professional who is trained in the architectural and functional knowledge of materials, fabrication techniques, composition, wearability and market trends. Before we create an article of jewelry, the design concepts are rendered followed by detailed technical drawings generated by a jewelry designer, a professional who is trained in the architectural and functional knowledge of materials, fabrication techniques, composition, wearability and market trends. We are one of the rare jewelry stores in the country that not only design and repair in-house, but we also have our own manufacturing facility right on the premises. So your valuables never have to leave the safety of our store. We are proud to provide our patrons with award winning designers and talented jewelers that use the very latest in design and production technologies. Our highly qualified team can walk you through the entire custom jewelry design process, from picking the gemstones, to designing your dream, resulting in a unique creation specifically for you.